Well, since we're into a new month, it's about time to say goodbye to the black, right? And I did it so spectacularly, too. 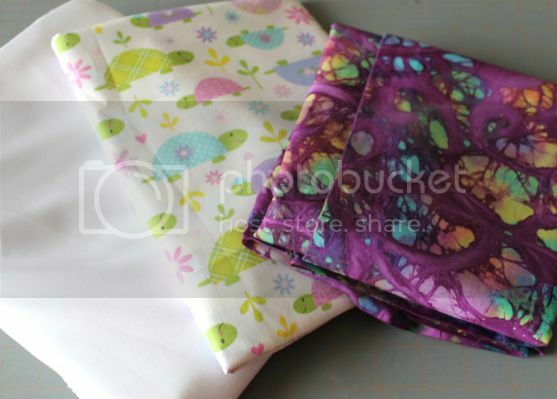 Three yards of Kona White, one yard of the turtles for burp rags, two yards of the purple batik for a t-shirt quilt. Quilt store had a Super Bowl sale... That's two yards of Sandy Gervais (Merry & Bright, Zippity Doo Dah), 1/2 yard of flannel gingerbread men, a three yard kit, and seven fat quarters. 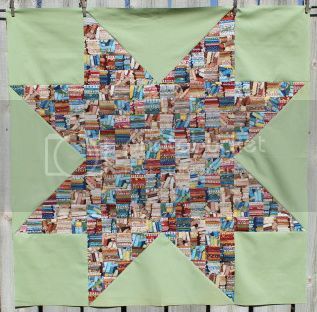 Won a giveaway on Sarcastic Quilter. 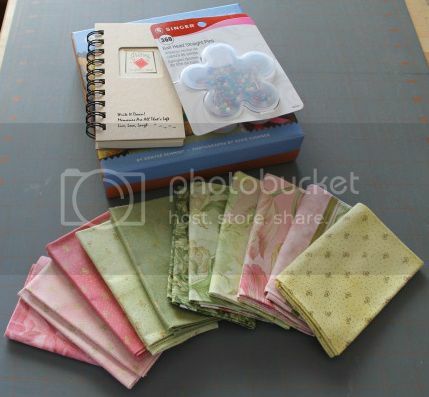 Eleven fat quarters, plus pins, a cute quilt notebook, and a pattern kit. And speaking of giveaways, I won these from Heather a while back and forgot to post about them! Don't they look great in my kitchen? 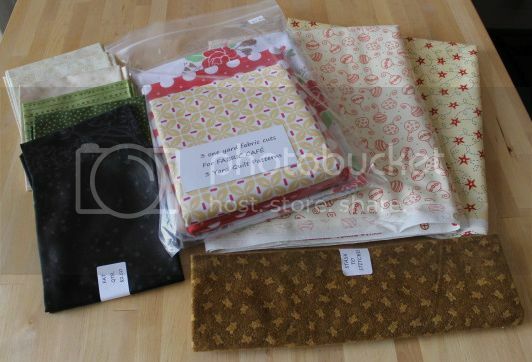 I also bought and used one yard of Kona Tarragon for Sew Starry. 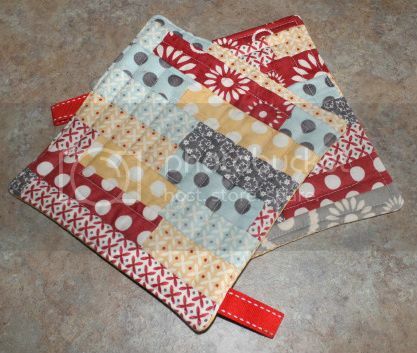 Which, the top is finished and I'm working on the quilting, so at least I can count the top out!